The World Bank and the International Monetary Fund (IMF) are stepping up lending to developing countries. As a stopgap measure, that makes sense. However, it risks directing money primarily to states, infrastructure and social projects and starving the private sector, particularly small business, of capital. After World War II and before the 1980s, the World Bank and IMF were the principal sources of cross-border finance for developing countries. 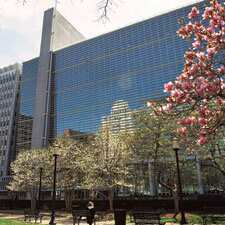 The World Bank provided primarily government-guaranteed loans for infrastructure and social purposes such as education, while IMF lent directly to governments suffering balance of payments difficulties. In countries with very high savings rates, this did not matter; the local private sector was financed by traditional informal means and by the local banking system. But countries without such high savings rates failed to develop healthy private sectors. Since the 1980s, private sources of finance have joined in financing developing countries. In addition, local equity and debt markets have developed, albeit patchily, attracting international investment. With the credit crisis, risk premiums for developing country debt have soared and its availability has shrunk drastically. Local stock markets have dropped more sharply than developed markets, reducing domestic liquidity and deterring international investors. Private equity funds remain liquid, but have limited ability to attract new money. Thus, developing countries have little choice but to fall back on the World Bank and IMF. In the short term, that fills the gap left by private lenders’ withdrawal. But it risks directing their economies towards big state-led developments and could limit funds available for private companies. They are likely to be the engine of recovery, so their governments—and the mutilaterals—should take care to minimize the damage.